Cooperation with private companies or another research institutes and universities is important part and role of National Centre of Robotics. Such opportunities emerge and develop technologies and knowledge in robotics, and at the same time various tasks on higher level can be solved. 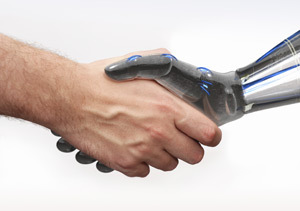 Therefore, National Centre of Robotics offers wide scale of cooperation forms with potential partners. Each of these forms is specific and it brings various benefits for the partner. – Including the company into the frame of our robotics actions; Possibility to show the potential of company to new customers, to students (future employees), etc.